There are a surprising number of things to do in Ferrara Italy. 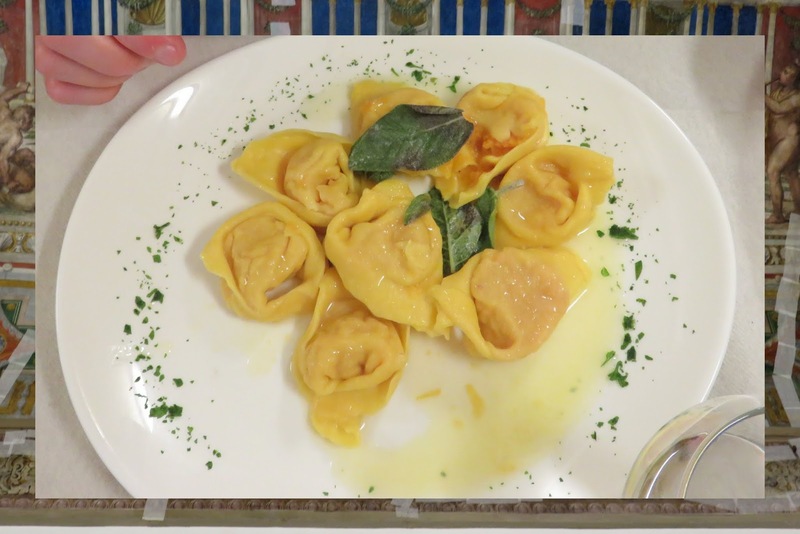 We spent four days on a weekend Emilia Romagna food holiday with a home base in Bologna. 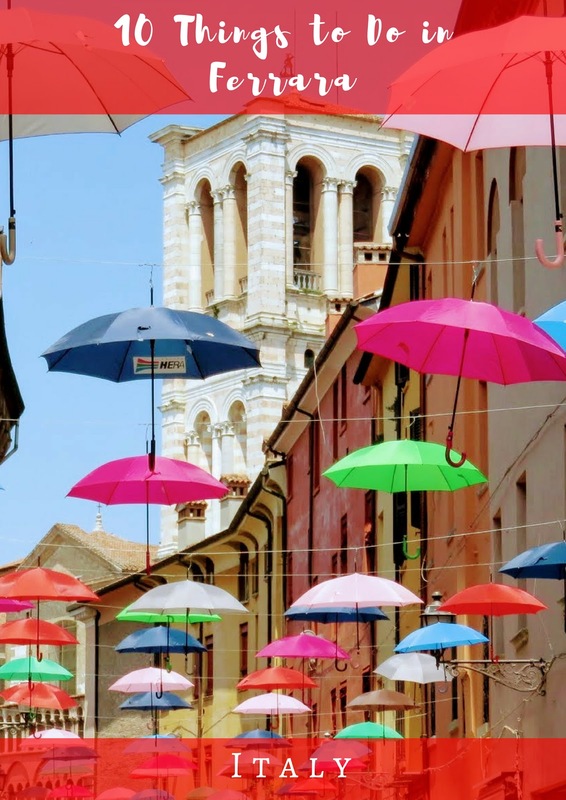 Take the train from Bologna to Ferrara for an ideal day trip in Italy’s food-filled Emilia Romagna region. 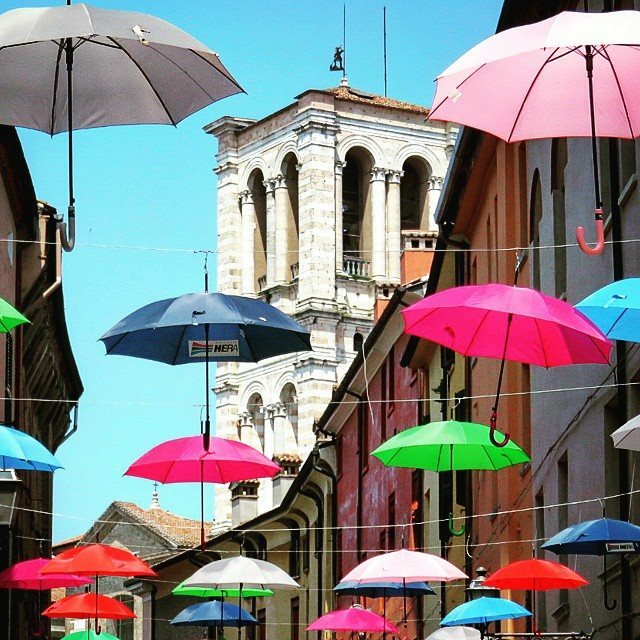 Read on for tips on how to spend a day in Ferrara. 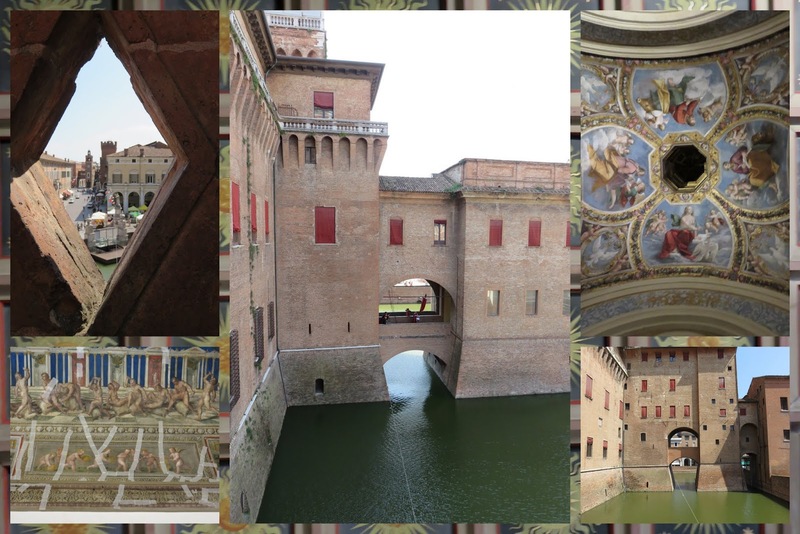 Castello Estense di Ferrara is surrounded by a moat and is very atmospheric. We paid the admission fee (8 EUR at the time of writing) and checked out some amazing art adorning the walls and ceilings. We were exploring the interior of the castle when we heard the sound of trumpets. We raced to a window on the second floor, looked out across the moat and soon saw a stream of armor clad soldiers marching into the streets. 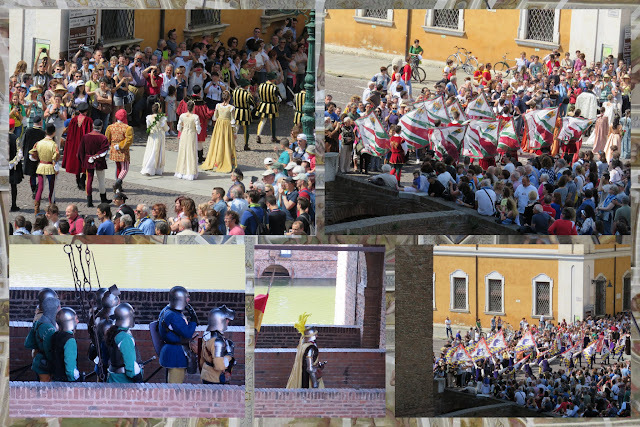 We had chanced upon Ferrara during Palio, a hundreds of years old tradition of horse-racing and other competitions. We cracked open the window to take some pictures and watched in awe as troupe after troupe of sumptuously clad people strode down the street. I love fun unexpected surprises when we travel. Castello Estense di Ferrara also features a dark side. 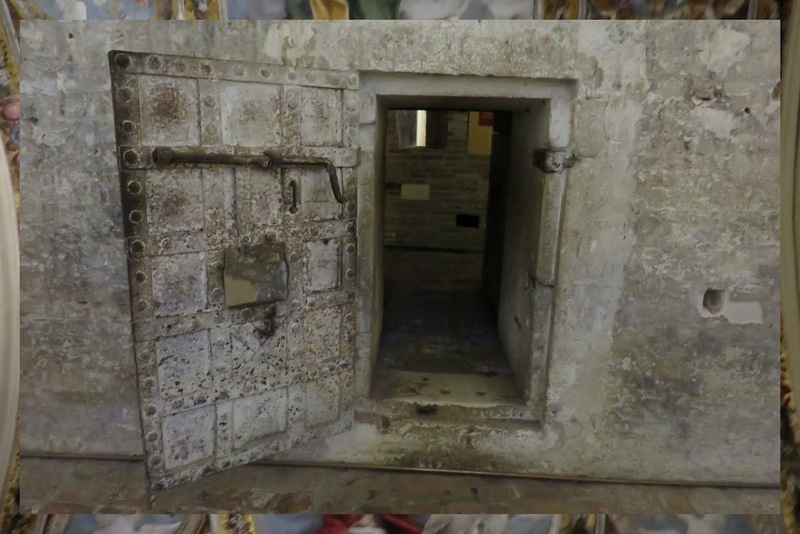 We hunched over and crept through thick metal doors into dark medieval dungeons. We emerged from the castle in Ferrara with a renewed appreciation for the sun. 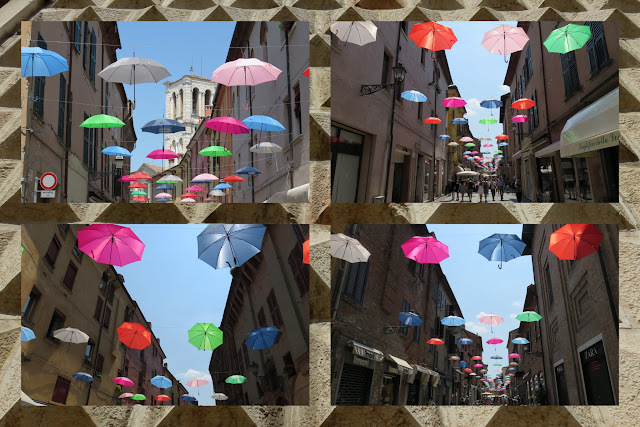 We walked down pedestrianized Via Giuseppe Mazzini which was covered with colorful floating umbrellas despite the fact that there wasn't a cloud in the sky. Just outside Castello Estense di Ferrara, an arts and crafts market was set-up for the weekend. 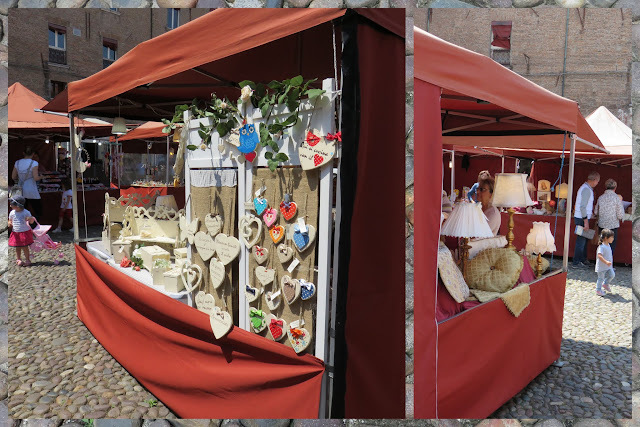 We had a great time browsing the creations of local artisans. Palazzo dei Diamanti is an imposing Ferrara point of interest with pointy diamond shaped protrusions on the facade. The building also features a lovely courtyard and small garden that you can explore for free. 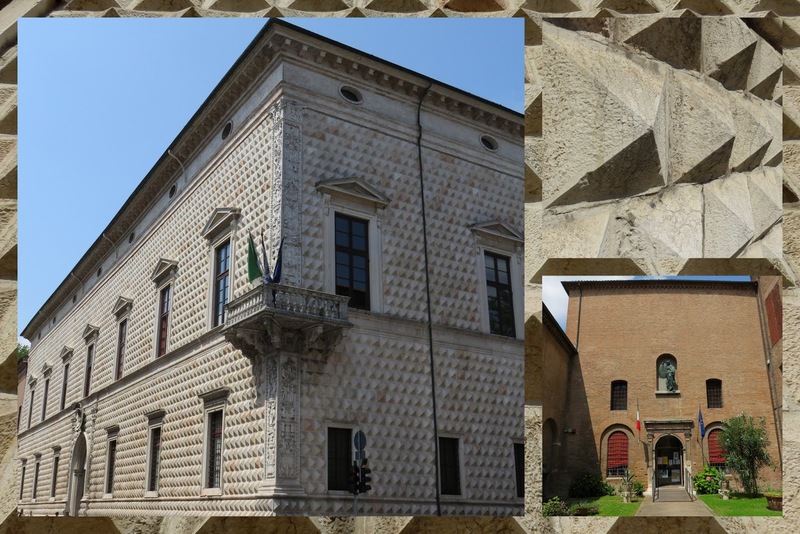 Ferrara was a medieval walled city and vestiges of the town's fortifications still remain. 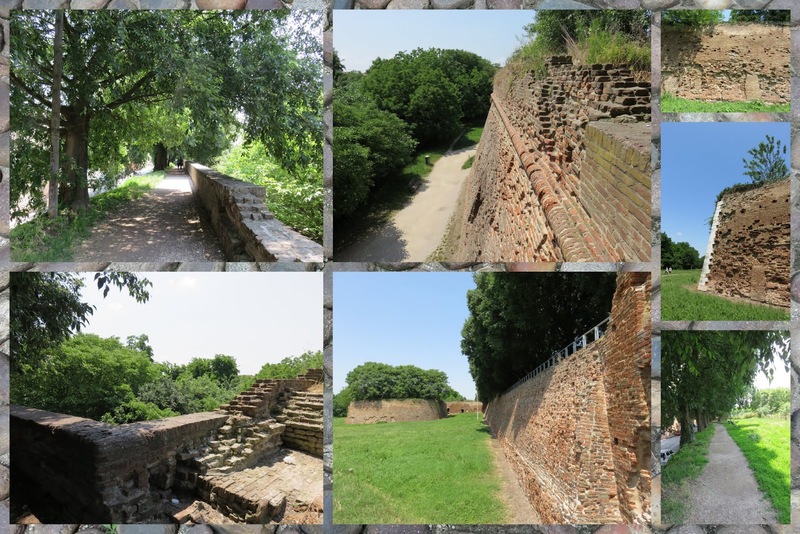 We took the opportunity to walk inside, outside, and on the Ferrara town wall for a lovely relaxing hike. 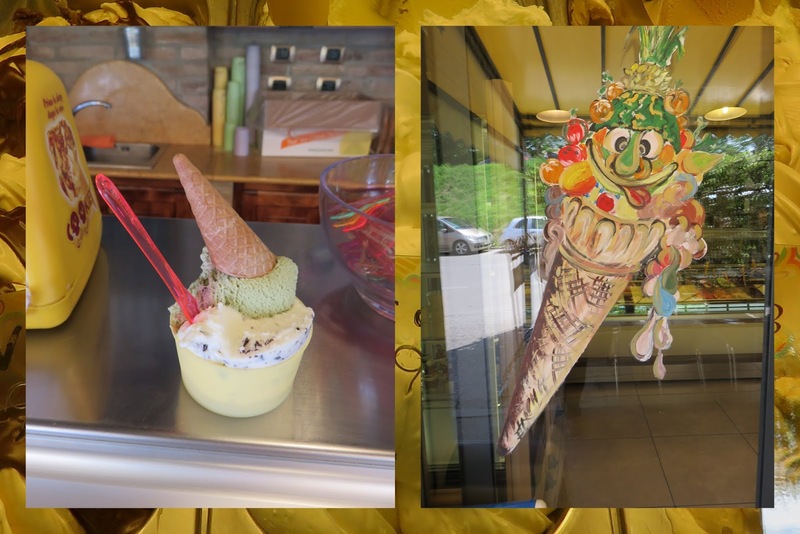 We'd definitely worked up an appetite from walking in the sun when we chanced upon Gelateria Baluardi tucked just inside the Ferrara town wall. We purchased a refreshing frozen cup of sweetness and sat outside on a shaded patio to enjoy our treat. Ferrara features a warren of narrow alleys emanating out from the historic square anchored by the Duomo and Castello Estense di Ferrara. It was here that we discovered Il Gatto Bianco where we sat down to a homemade plate of pumpkin filled pasta and a carafe of wine. Delicious! No visit to a city in Italy is complete without ducking into the Duomo. Italian cities generally feature large ornate cathedrals and Ferrara is no exception. 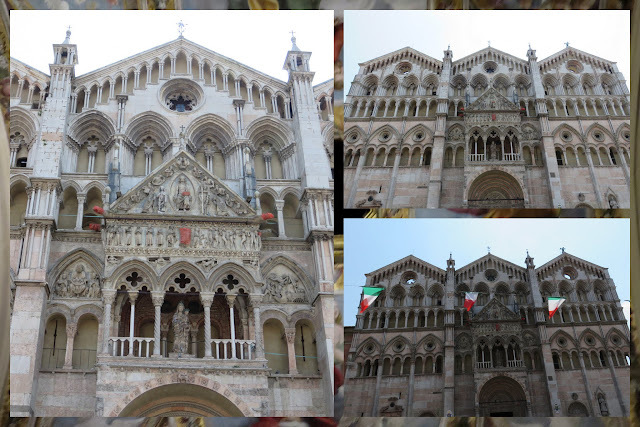 The cathedral seems to be broken into three columns with impressive lions in marble out front. The interior is equally impressive and definitely worth popping in at the very least for a brief cooling respite from the sun. We definitely enjoyed our day trip from Bologna to Ferrara featuring amazing sun, food, and architecture. What are some of your favorite places to visit in the Emilia-Romagna region? Find out about ten things to do in Ferrara Italy in Emilia Romagna. 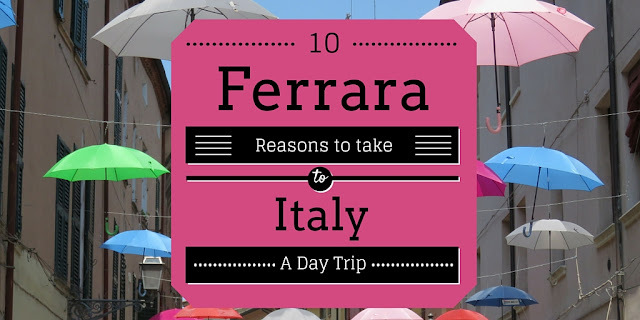 Take a day trip from Bologna to Ferrara by train. Explore Ferrara points of interest in a day.